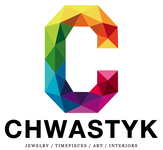 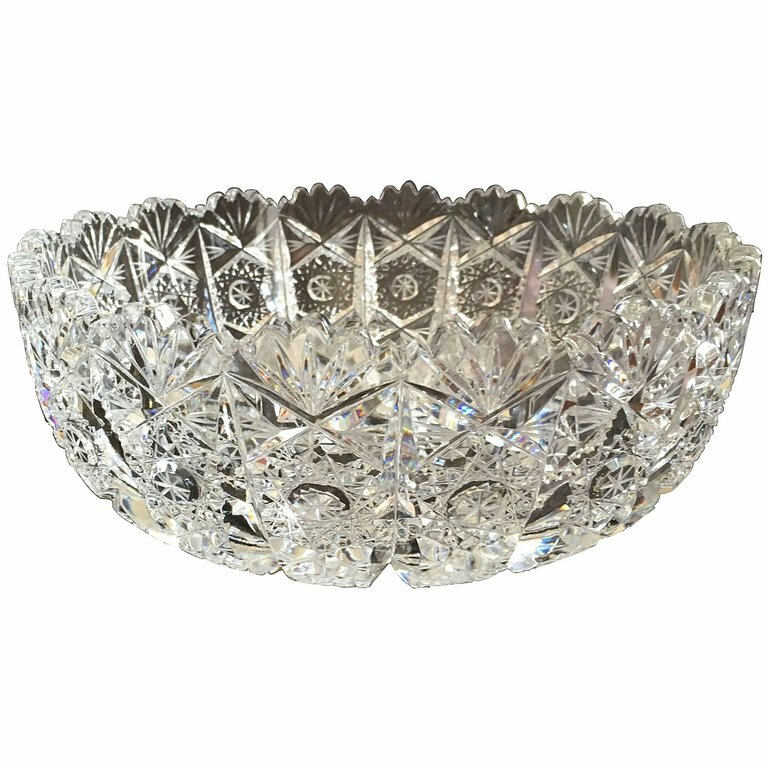 Crystal serveware - galerie-zeitraeume Webseite! 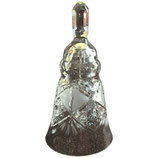 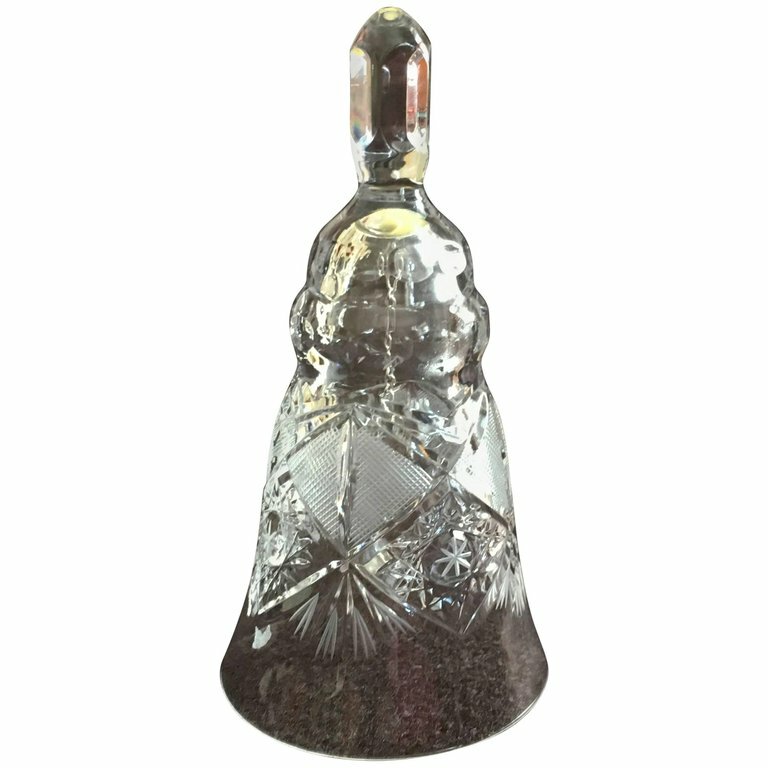 Extravagant cut and polished crystal table bell made, circa 1970s in one of the Bohemian glass works. 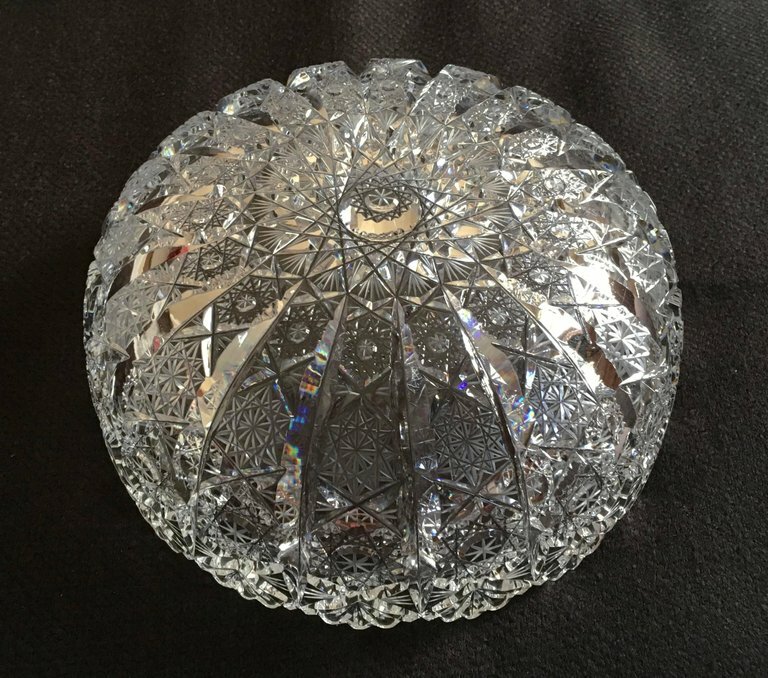 The cutting is especially fine and deep with the very intricate patterns. 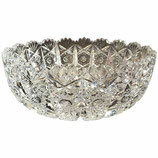 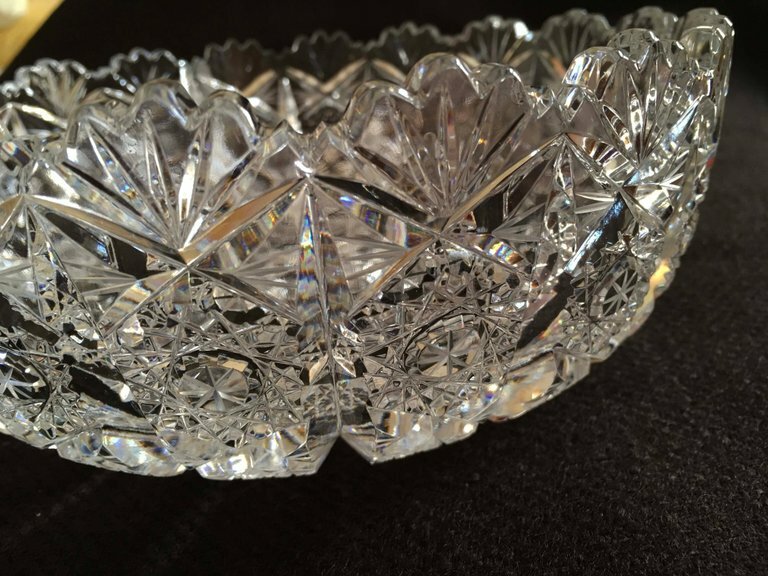 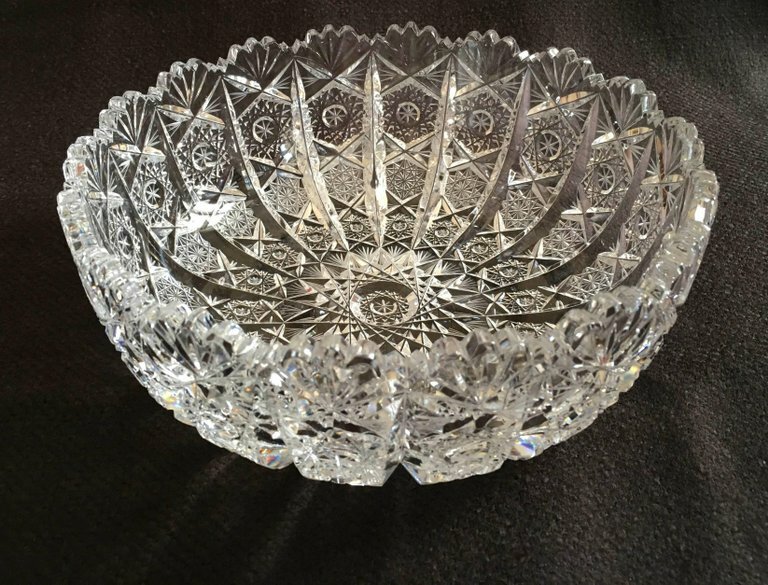 Extravagant cut and polished crystal bowl made circa the 1970s in one of the Bohemian glass works. 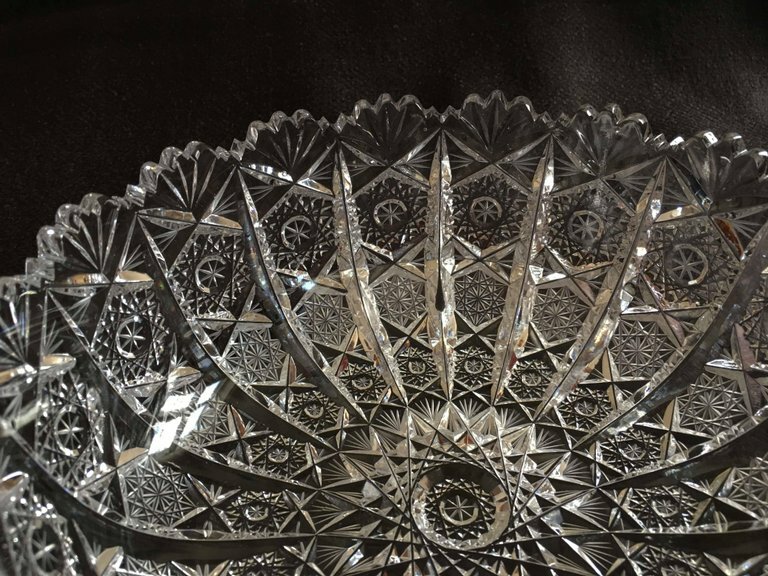 The cutting is especially Fine and deep with the very intricate patterns.